Match ends, Milan 5, F91 Dudelange 2. Second Half ends, Milan 5, F91 Dudelange 2. José Reina (Milan) wins a free kick in the defensive half. Corner, F91 Dudelange. Conceded by Diego Laxalt. Attempt saved. Suso (Milan) left footed shot from outside the box is saved in the bottom right corner. Assisted by Tiemoué Bakayoko. Attempt missed. Tom Schnell (F91 Dudelange) header from the left side of the box misses to the left. Assisted by Levan Kenia with a cross following a corner. Corner, F91 Dudelange. Conceded by Davide Calabria. Attempt blocked. Nicolas Perez (F91 Dudelange) right footed shot from the left side of the box is blocked. Attempt blocked. Tom Schnell (F91 Dudelange) right footed shot from the centre of the box is blocked. Assisted by Levan Kenia with a cross. Bryan Mélisse (F91 Dudelange) is shown the yellow card for a bad foul. Substitution, F91 Dudelange. Nicolas Perez replaces Danel Sinani. Stefan Simic (Milan) is shown the yellow card for a bad foul. Corner, F91 Dudelange. Conceded by Cristián Zapata. Goal! Milan 5, F91 Dudelange 2. Fabio Borini (Milan) left footed shot from very close range to the bottom left corner. Attempt saved. Hakan Calhanoglu (Milan) right footed shot from the centre of the box is saved in the top centre of the goal. Assisted by Suso with a cross. Substitution, F91 Dudelange. Levan Kenia replaces Dominik Stolz. Substitution, Milan. Fabio Borini replaces Patrick Cutrone. Edisson Jordanov (F91 Dudelange) wins a free kick in the defensive half. Own Goal by Tom Schnell, F91 Dudelange. Milan 4, F91 Dudelange 2. Patrick Cutrone (Milan) wins a free kick on the left wing. Foul by Marc-André Kruska (F91 Dudelange). Substitution, F91 Dudelange. Mario Pokar replaces Stélvio. Corner, Milan. Conceded by Edisson Jordanov. Attempt blocked. Gonzalo Higuaín (Milan) left footed shot from the centre of the box is blocked. Assisted by Patrick Cutrone. José Mauri (Milan) wins a free kick on the left wing. Foul by David Turpel (F91 Dudelange). Goal! Milan 3, F91 Dudelange 2. Hakan Calhanoglu (Milan) right footed shot from outside the box to the bottom left corner. Attempt saved. Patrick Cutrone (Milan) right footed shot from outside the box is saved in the centre of the goal. Assisted by José Mauri. Stefan Simic (Milan) wins a free kick in the defensive half. 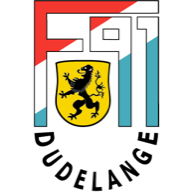 Own Goal by Stélvio, F91 Dudelange. Milan 2, F91 Dudelange 2. Attempt saved. José Mauri (Milan) right footed shot from outside the box is saved in the bottom left corner. Assisted by Hakan Calhanoglu. Corner, Milan. Conceded by Clement Couturier. Attempt blocked. Patrick Cutrone (Milan) right footed shot from the right side of the box is blocked. Assisted by Hakan Calhanoglu. Offside, F91 Dudelange. Clement Couturier tries a through ball, but David Turpel is caught offside. Substitution, Milan. José Mauri replaces Andrea Bertolacci. Attempt missed. Suso (Milan) left footed shot from outside the box misses to the right. Assisted by Tiemoué Bakayoko. Attempt blocked. Gonzalo Higuaín (Milan) right footed shot from the centre of the box is blocked. Assisted by Patrick Cutrone. Gonzalo Higuaín (Milan) wins a free kick in the defensive half. Danel Sinani (F91 Dudelange) wins a free kick on the left wing. Substitution, Milan. Suso replaces Alen Halilovic. Attempt missed. Dominik Stolz (F91 Dudelange) left footed shot from outside the box is close, but misses to the left. Assisted by Danel Sinani. 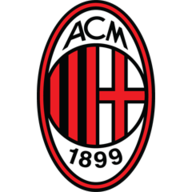 Delay in match Andrea Bertolacci (Milan) because of an injury. Goal! Milan 1, F91 Dudelange 2. David Turpel (F91 Dudelange) right footed shot from the right side of the box to the bottom left corner. Attempt blocked. Edisson Jordanov (F91 Dudelange) left footed shot from outside the box is blocked. Andrea Bertolacci (Milan) wins a free kick on the right wing. Foul by Stélvio (F91 Dudelange). Second Half begins Milan 1, F91 Dudelange 1. First Half ends, Milan 1, F91 Dudelange 1. Cristián Zapata (Milan) wins a free kick in the defensive half. Foul by Danel Sinani (F91 Dudelange). Tom Schnell (F91 Dudelange) wins a free kick in the defensive half. Goal! Milan 1, F91 Dudelange 1. Dominik Stolz (F91 Dudelange) right footed shot from the centre of the box to the bottom left corner following a corner. Corner, F91 Dudelange. Conceded by Stefan Simic. Clement Couturier (F91 Dudelange) wins a free kick on the right wing. Andrea Bertolacci (Milan) wins a free kick in the attacking half. Attempt blocked. Hakan Calhanoglu (Milan) right footed shot from the right side of the box is blocked. Assisted by Gonzalo Higuaín. Corner, Milan. Conceded by Tom Schnell. Goal! Milan 1, F91 Dudelange 0. Patrick Cutrone (Milan) left footed shot from the centre of the box to the bottom left corner. Assisted by Gonzalo Higuaín. Attempt missed. Danel Sinani (F91 Dudelange) left footed shot from outside the box is close, but misses the top left corner. Assisted by Dominik Stolz following a fast break. Corner, Milan. Conceded by Jerry Prempeh. Dominik Stolz (F91 Dudelange) is shown the yellow card for a bad foul. Diego Laxalt (Milan) wins a free kick on the left wing. Attempt missed. Bryan Mélisse (F91 Dudelange) right footed shot from outside the box is too high following a corner. Attempt saved. Gonzalo Higuaín (Milan) right footed shot from outside the box is saved in the bottom right corner. Assisted by Alen Halilovic. Attempt saved. Hakan Calhanoglu (Milan) right footed shot from outside the box is saved in the bottom right corner. Assisted by Alen Halilovic. Attempt missed. Gonzalo Higuaín (Milan) right footed shot from outside the box is close, but misses to the left. Assisted by Hakan Calhanoglu.